The Isle of Whithorn (not an island today) lays at the Southern tip of the Machars, about 13 miles South of Wigtown. This has to be the smallest Scottish castle I've ever seen, measuring a petite ten by nine metres. 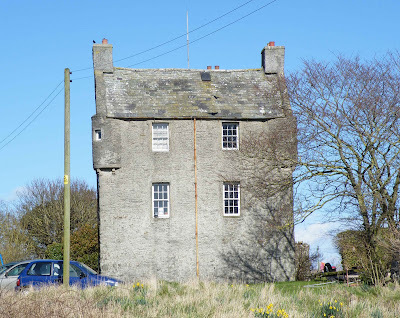 Built in 1674 by Patrick Houston and Margaret Gordon (who's initials can still be seen over a door) it is most likely that it was built, not as a place of refuge, but more likely as a comfortable home with all the outward characters of a small tower house. Above. Isle of Whithorn Castle. The tower was altered around 1830 by John Reid, when he was the Superintendent of Customs, and it was used as his administrative centre in the government's battle against smuggling. 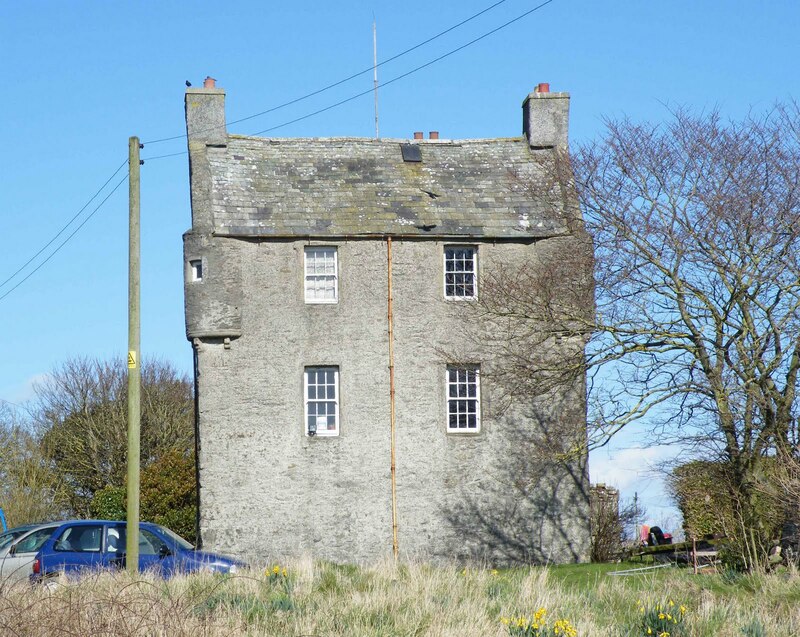 It can be seen from the road side when travelling out of The Isle of Whithorn on the B7004. Film enthusiasts may recognise the tower from the 1973 film, The Wicker Man.